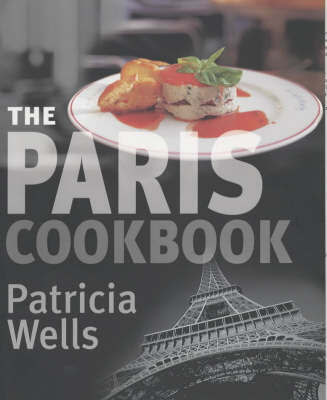 Patricia Wells is great but I haven't found many recipes in this book to make ... yet. This recipe uses the tough, woody ends of asparagus--which I hoarded in my freezer till I had enough (per Mrs. Well's suggestion). I wasn't quite sure if I liked it at first, but the taste grew on me. I will have to make it again to verify my feelings. At least it makes good use of asparagus trimmings! This serves 4 in small espresso cups, FYI. Very basic salad, but good with garden-fresh greens. Charpentiers' mesclun salad with Roquefort "vinaigrette"
This is basically a French take on blue cheese dressing. It was nice enough but not particularly special. I used Cashel Blue instead of Roquefort because it's what I had. After baking for 20 minutes with a half recipe, the zucchini was far from cooked through. This recipe didn't work for me. I cooked the eggplant longer than specified and it was still very undercooked. The cumin and orange tended to overpower the flavor of the carrots instead of complimenting them. I pressure cooked the beans which worked well (except for overcooking them because of inattentiveness). The beans were flavorful and nice. I don't really think the mustard added much to this. The flavor just wasn't complimentary or exciting enough. I made this recipe with dried beans and it was wonderfully creamy---just what you think of when you want those bistro-style beans to go with lamb or part of a veggie meal. It freezes very well too. One cup got lost in the back of the basement freezer (manual defrost so it stays really cold) for 4 years! After thawing and reheating I was dumbfounded to discover it was still creamy & flavorful. I love this dish. It's just what I like about lentils--earthy and hearty. The vinegar adds a great contrast to the depth of the lentils. I've made a vegetarian version of this dish and it holds up well. As a new beekeeper and a big fan of ice cream, I couldn't wait to try this recipe. The first time I followed the recipe as written and found it had too much vanilla and not enough honey flavor. The honey from my bees isn't that dark, rather a beautiful golden color. So, the second version was adjusted to use just one vanilla bean and just over 1/2 c of honey. Fantastic! My advice is to adjust the recipe based on the strength of your honey. It's been a while since I made this, but this year it was a huge hit at the Holiday Party! It was again made with honey from my own hive. This ice cream has such a clean flavor and mouth feel. It was served with the Cranberry Crumble pie from Sister Pie. Easy and great. Keeps for months without refrigeration. Often referred to as "the city of moveable feasts" Paris offers so much for the discerning and adventurous diner. With a cosmopolitan mix of restaurants the city boasts a wealth of knowledge and expertise on cooking. Aiming to bring this delightful array of tastes into the modern kitchen, the author, equipped with 20 years of living in the city, blends together her own recipes with tips from the top restaurateurs, resulting in a mix of recipes which should inspire the reader to bring the lively world of this most heavenly of cities into the domestic kitchen. How about a Provencal onion tart with a main course of scallops on a bed of leeks finished off with a delicious Chocolat Chaud?